Courthouse, 124 Bull Street, with members of the Chatham County Commission, members of the Diocese of Savannah and members of the Mother Mathilda Beasley Society. These groups are requesting information from the public to support the Mother Mathilda Beasley House Project. 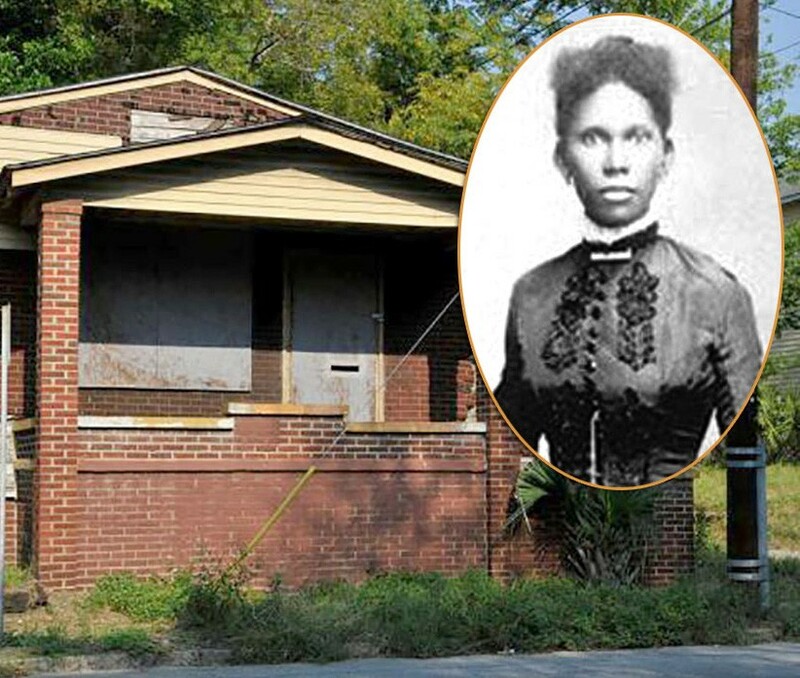 The Mother Mathilda Beasley House is the final residence of Mathilda Taylor Beasley, Georgia’s first African-American nun. The County is in the process of relocating the house from its current site, at 1511 Price Street in Savannah, to the Mother Mathilda Beasley Park on East Broad Street. The renovated structure will serve as an interpre- tative site to commemorate the life and work of Mother Mathilda Beasley. The County is seeking information, photographs and artifacts from the 1800s and early 1900s pertaining to: Mother Mathilda Beasley, the Saint Francis Home, Sacred Heart Church, Sacred Heart School, Benedictine College/School at the time it was located on Habersham Street, St. Benedict the Moor Church, St. Benedicts School, free people of color, clandestine schools and orphanages in Savannah, African-American nuns in Georgia, and the neighborhood in proximity to the block bounded by Habersham Street to the West, Price Street to the East, 31st Street to the North and 32nd Street to the South. Mathilda Taylor was born in New Orleans, Louisiana in 1832 to an enslaved woman, Caroline Taylor who was owned by James C. Taylor. It is unknown how Mathilda made her way to Savannah, but once in this city, she operated a clandestine school for enslaved youth, worked as a seamstress and married Abraham Beasley, a free man of color. He operated a restaurant, boarding house, and food market and resided at 48 Harris Street with his wife Mathilda. Upon his death in 1877, Mathilda inherited his property and later donated it to the Catholic Church. In 1885, she travelled to York, England to become a nun and in 1887, after her return to Savannah, she started the Colored Orphan Asylum. It was located on the grounds of the Sacred Heart Church, which at that time, was situated on Habersham Street between 31st and 32nd Streets. The name of the orphanage was later changed to Saint Francis Home, which also functioned as a school, and in 1897, it was moved to East Broad Street. The institution was affiliated with St. Benedict the Moor Catholic Church. After her return to Savannah, Mother Beasley also founded the first community of African American nuns in Georgia. In 1903, Mother Beasley died in her Price Street home, on the grounds of the Sacred Heart Church.